This article will help you find an Architectural Drafting Service in Fort Collins Colorado. Alldraft Home Design has been designing and drafting homes in Fort Collins Colorado since 1993. We have produced more than 13,000 plans that have been built all across the county. When choosing architectural drafting services in Fort Collins CO, it is imperative to know the different kinds of drawings that can be presented, and what the meanings are for each. Architectural drawings are produced to show building designs, as well as concepts, and the visualizations that you will view when opting for architectural drafting services will help you see exactly what your building design will appear like when the project is completed. Here are some kinds of drawings that you will likely see when opting for architectural drafting services that will definitely give you an ideal visualization of exactly what your dream home or project will look like. The most common architectural drawings are the floor plan drawings. They are the map of the project and show an aerial view of your building design cutting through the walls. You will not only be able to view the walls and rooms of your building design, but plan view drawings can also show thing such as windows, furniture, fixtures, appliances and stairs. These elements can certainly provide great benefits when receiving your Architectural Drafting Service as you will be able to select decor and appliances that fit the specific places of the floor plan drawings. Similar to plan drawings, section drawings show the inside of the home but instead of it being from an aerial view, you see it from the side. It shows a view as if you have vertically cut the home. These kinds of drawings within architectural drafting services are used to show heights of each floor and any unique features of the building design, such as complex structures or characteristic ceilings. Known as elevation drawings, these visualizations are designed to show the exterior of the building and what you can expect from it. These drawings show materials, textures and heights while also showing the space between windows and specific detailing made to the building design. There are also perspective drawings that you can receive as part of your Architectural Drafting Services that show a very realistic look to your building design, instead of viewing it as lines and sketch lines. Fort Collins CO Architectural Drafting Service. All drawings within architectural drafting services are used to show the details of floor plans, as well as all of the elements of the building design. They give you an option to not only visualize your home design, but to also make alterations prior to it actually being built. This is a sure fire way to ensure that your Fort Collins CO house design will far exceed all of your expectations. CAD or Computer Aided Drafting and Design takes several years to completely master, and just when you think you know it all they update it with new features you have never seen. Personally it gets kind of frustrating, but all in all it does make it easier to perform and to create the desired design once you get familiar with the software. A lot of people I know in the field never have to change the software they use due to the fact of the high cost, but I try in keep up to date to stay on top of all the new features they incorporate to make the job easier. There are several different programs for specific branches of the drafting field. One of these is architecture which makes it easier to create walls, windows, roofs and other designs specifically for drawing houses and buildings. Another field of drafting is mechanical which focuses mostly on machine parts for automobiles, boats, airplanes, and just about anything that uses mechanical parts that move to create an object. The electrical field is bound to objects such as circuit boards, or any type of electrical device that is designed. It incorporates transistors, resistors and other electrical objects. The last but not least main field of drafting is the civil field which focuses all of its attention on objects like roads, bridges, or any type of design that is meshed with our natural environment. The days of 2D Blueprints and the drafting board are over. CAD otherwise known as Computer Aided Drafting or Design has changed the way Drafting Services do business forever. These companies specialize in Architecture, Mechanical, Civil, MEP, and other types of technical drawing. 3D Modeling has several advantages over the traditional way of drafting with only two dimensions. Also a large number of customers have had older blueprints and schematics updated to newer CAD files. 3D Drafting Services provide numerous types of drawings that are beneficial to society today. CAD is the new standard for drafting today. With CAD software the draftsmen can manipulate a wide variety of tools that are designed for creating lines, arcs, circles, etc. Apart from these tools which are known as 2D tools, the designer can use commands for sculpting, cutting, extruding, subtracting, and other types of 3D manipulation. With this power at a CAD Designers disposal, anything can be designed that can be imagined. Fort Collins CO CAD Designers can be found online like eLine Design who specializes in All fields of CAD drafting and 3D modeling. There are numerous amounts of drawings that are created in 3D now. Architecture is developed with software that allows the CAD Draftsman to create walls with the click of a mouse. Also the Drafter can create windows, doors, roofs, and slabs with one command. It’s a little more complicated than that, but you get the idea. They have specific commands made specifically for designing those characteristics within the 3D drawing. The same goes for mechanical parts where you can insert threads for nuts, and bolts. Within Civil drafting programs from Autodesk, you can use Google Earth to view the lot your working on. 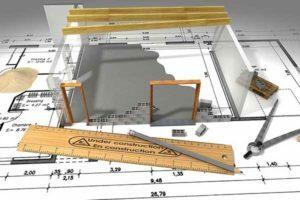 3D drafting has incorporated all the principles of technical drawing, and has made life a lot easier of Fort Collins CO Draftsmen. How do I find the best Fort Collins CO architect for my home design project? It is best to hire a home architect who will be involved in all phases of the design process, from the initial concept to the completed construction. The architect is often the first person you will hire for your project. If necessary, they might also help you select and hire Fort Collins CO subcontractors, which can include the builders, engineers and landscaper. Interior architects are also involved in negotiating contracts for all involved participants. It is for these reasons that it is extremely important for you to have a good relationship with the Fort Collins CO residential architect you hire. He or she can be the tie-breaking vote between you and the general contractor and can be your biggest advocate during the construction process. Different architecture firms in Fort Collins CO provide different services, so the scope of the work can span from pre-design environmental impact studies to selecting furniture and finishes, depending on what your specific needs are. As far as the process goes, the Fort Collins CO architecture firm or individual that you choose will start with concept drawings and finish with construction drawings and documents. Some firms even design with 3D renderings and videos, but that should not be assumed. There should be plenty of meetings between you and your building designer until you have agreed upon a design that you are completely happy with. 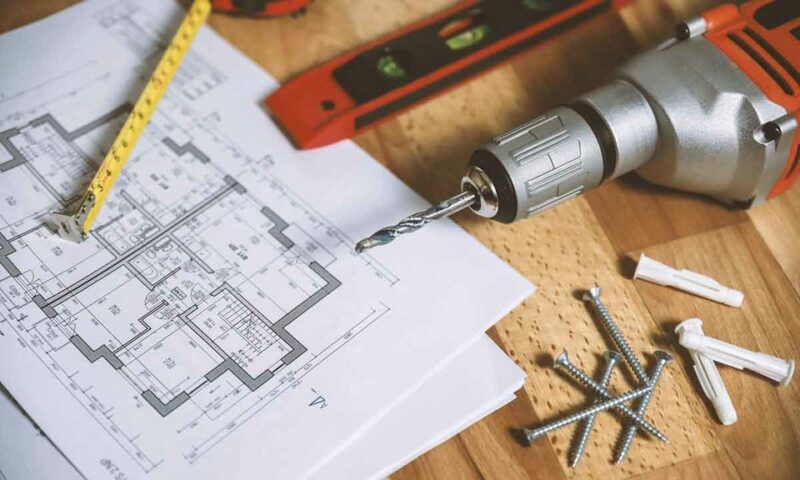 Always keep in mind that the designer will have building codes to follow, and likely pre-existing design limitations when dealing with a remodel, so while they might not be able to execute your exact ideas they always have your safety and aesthetics in mind. One of the most important duties of a Fort Collins CO residential architect is to serve as managers and supervise most aspects of construction, as well as facilitate communication between all other contractors, so you can expect them to be present throughout the entire building process to ensure everything is executed as planned. It is very important to hire the right professional for the job. Remember that the most well-known or established designer might not provide the best architectural services for your needs. It all comes down to the individual project. Research and ask people whose work you like for recommendations. It’s important to have somewhat of an idea of the style of house architecture that you prefer, as well as the amount you would like to spend. Residential architects in Fort Collins are natural problem solvers. They will assess the entire situation and help you to solve your problems too. Don’t settle for a single company too early. Call and interview a few. Make sure that you feel like your personalities will mesh well and that you like their professional perspective. What size & style house is suitable for your neighborhood? If you have chosen a lot, choose a plan well suited with the other houses in the area. If choosing a stock plan, do you like the outside elevations of the house? It may be best to start with a floor plan you like, because a good designer would be able to adjust the exterior elevations to suit you. Will your house fit on your lot? Have a plot plan with your house laid out on it if there is doubt as to whether or not the house would fit and/or how you would like the house to sit. Concrete slab foundations are cheaper than crawl spaces, however, slab houses are harder to heat, and may be a security and/or privacy problem. From which direction will you be entering the lot? Front entrance driveways are the least expensive. Side or rear entry driveways are more expensive. What is the garage capacity? How many vehicles will need to be housed? Consider the pitch of the roof. Roof pitches of 9:12 or greater are more expensive. When considering square footage, remember that “Living” or “Heated” space is measured to the outside of the brick. Room sizes may be figured to the outside of a wall, the center of the wall, or both. Which roof is right for the elevations of your house? Hip roofs are usually cheaper than gable roofs. Although you want your house to look attractive on the outside, it may be wiser to spend your money on the inside where you will actually use it. More space vs. high pitched roofs, for instance. Do you want one or more stories to your house? Two or more stories involve a staircase(s). Consider if you would want a staircase in the future, i.e. later in life? Is a basement to your advantage? Is your lot appropriate for the kind of basement that you might want? Are there enough windows? Consider the size and shape of different windows to find one that suits you. What type kitchen do you want? Are there enough cabinets? Do you want a pantry? Are there enough bedrooms? Will your family grow or reduce? Is there a chance that in-laws may move in, you may have more children, or someone may be leaving? Should the master bedroom be upstairs, downstairs, with the other bedrooms, or on the opposite side of the house? Are there enough closets? Consider the storage space you may need for seasonal clothing and decorations. Are the room sizes large enough for your furniture? Do rooms allow for privacy? Are bathrooms, utility room, etc., conveniently located where they will not cause disturbance to other areas of the house? Consider the rooms you use the most. You may want dining, living, and family/keeping rooms or you may choose a more open space with fewer walled areas. Fort Collins Drafters must complete studies in their field before they are qualified to seek employment as drafting professionals. Typically, they will attend a college or private tech school. They will learn about the building process, Fort Collins CO building standards and how to produce technical drawings using CAD (computer aided design) programs. Drafters take one to two year courses to a diploma level in drafting and/or building design. Courses are available for everything from residential construction to commercial projects. After their studies, many drafters go to work for Fort Collins CO architectural firms, larger drafting services or construction firms. When they have acquired more experience, they may set up their own home design drafting business. An experienced Fort Collins drafter may become a building designer. While they may not have the educational qualifications necessary to be registered as an architect, they have enough experience and design flair to design stunning residences, home extensions or interior renovations. A Fort Collins CO building designer will start by discussing your ideas with you and writing a brief. They will then prepare a preliminary design. A building designer may also use 3D computer modelling software to ensure your design is perfect. When you are satisfied with the preliminary design, they will use a CAD program to draw the technical drawings needed by council and your builder. Fort Collins CO Drafters and building designers may act as project managers. In most cases, your builder can be your project manager, but if you have a complex design and feel your home designer should help manage your project, you will need to hire an experienced home design drafter. Renovations and extensions are fields that require specialised knowledge. A renovation may include structural work. Your drafter may need to liaise with a structural engineer, but their design will ensure your renovations fit in with your interior design and create a harmonious interior. A home extension requires knocking out exterior walls, which requires specialised knowledge. The finished design must also fit in with the rest of your home design. A drafter who has worked for a large residential construction company will have had extensive experience drawing homes. When you give them your specifications, they will know from experience where to place the rooms in your house; how large the rooms should be; and how to create a harmonious flow through the house. If a drafter has worked for a residential architectural firm, they will have had experience drawing plans for more upmarket homes. They may also have had to create drawings for homes on difficult sites and will have worked with architects and structural engineers. Can you show me a portfolio of your work? How much experience do you have in drawing or designing the type of construction we need? Can you provide us with referrals from previous clients? This information will tell you if you’ve found the right service for your needs.